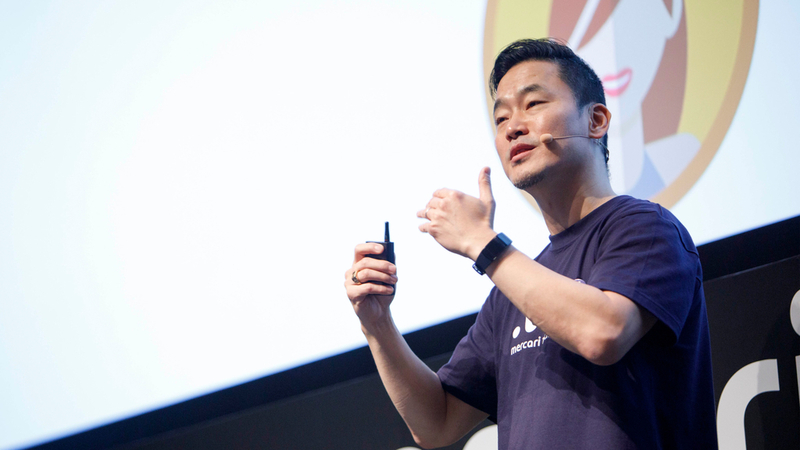 This year’s second keynote speaker was Mercari US CTO Dr. Mok Oh. 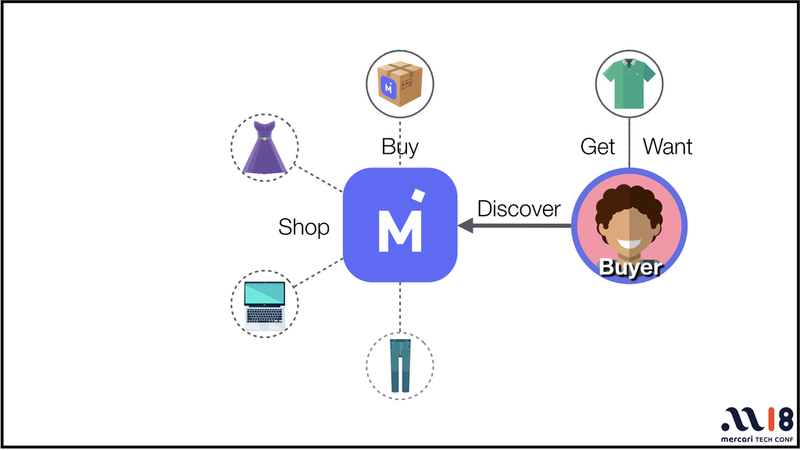 What happens if we apply machine learning technology to the enormous amount of data Mercari has gathered? “We can find the probability that a listing will be canceled, or how likely an item is to sell. We can even see the likelihood that someone who liked a shirt will like shoes,” said Mok. What kind of future does he see for data and machine learning in Mercari US? In April 2014, one year after Mercari was founded, our American subsidiary “Mercari, Inc.” was established. The US version of the Mercari app was released in September 2014, and in less than three years, it surpassed 30 million downloads. In March 2018, the logo, icon, app UI (user interface), and website were completely redesigned. In anticipation of further growth, the company did a dramatic rebranding. Dr. Mok Oh is the CTO of Mercari US. 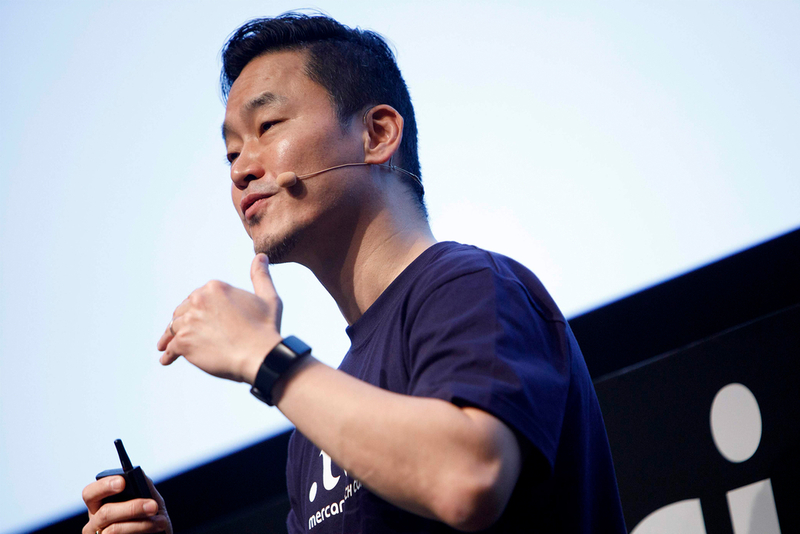 Before joining Mercari, Mok worked as the chief scientist of PayPal and the vice president of Samsung Electronics (Suwon, South Korea). He is also the holder of 12 patents. 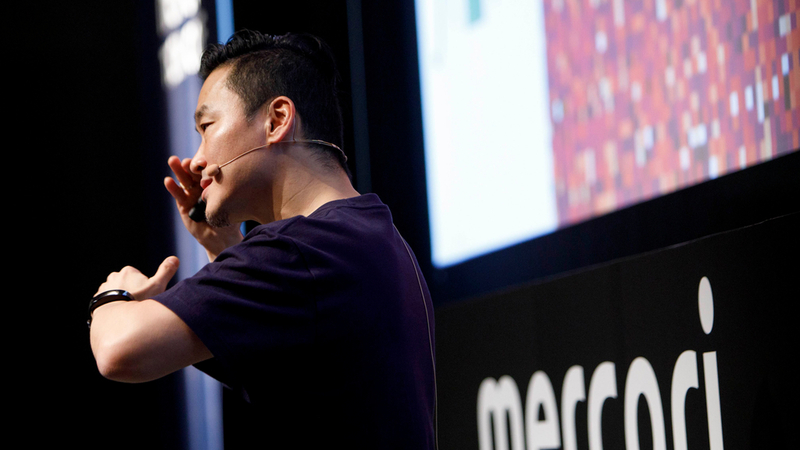 In his keynote speech, Mok spoke about the Mercari Engine, a service in Mercari US where sellers and buyers can discover and trade items they value, and the data and machine learning technology necessary to implement it. “We gather a lot of data,” explained Mok while showing a slide of the changes in Mercari US’s GMV (gross merchandise value) from 2017 to 2018. From this diagram, you can see that transactions occur in many different regions. 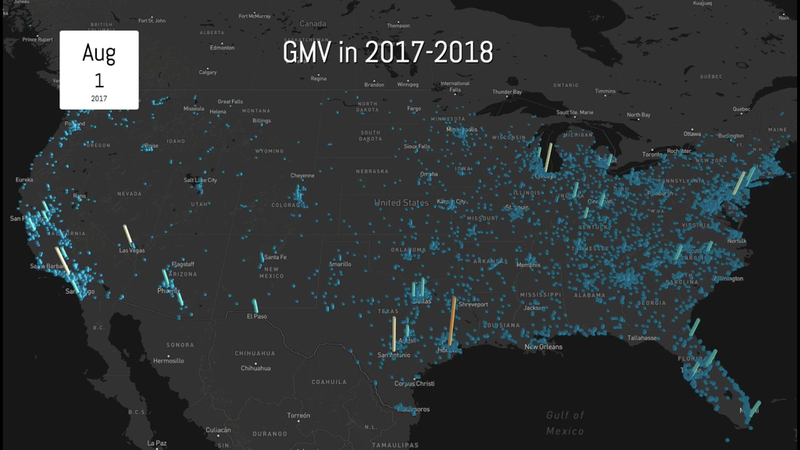 Of all of the regional changes in GMV, the area with the largest growth was Houston, Texas. 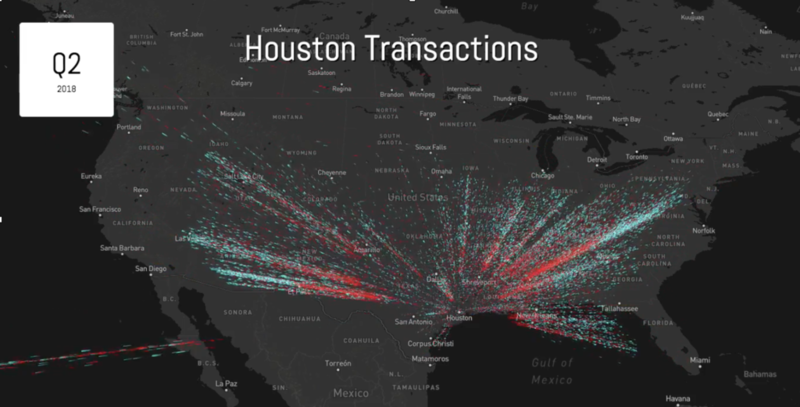 Next, Mok showed the transaction data for Houston. From these numerous transactions, we have gathered basic information on buyers’ and sellers’ listing histories, purchase histories, and likes, as well as data for 100 million listings in the Mercari database. 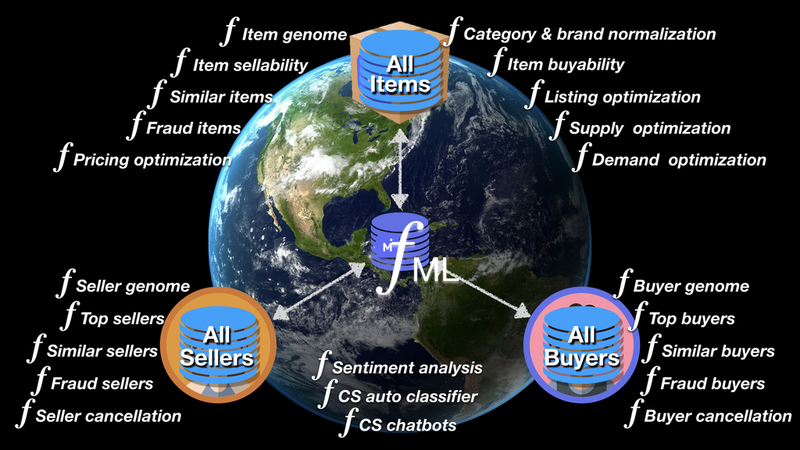 By combining this with machine learning, it’s easy for buyers and sellers to exchange items of value. One of the specific projects Mok mentioned was the fML Genome Engine. “This is an extremely simple system,” said Mok before continuing his explanation. 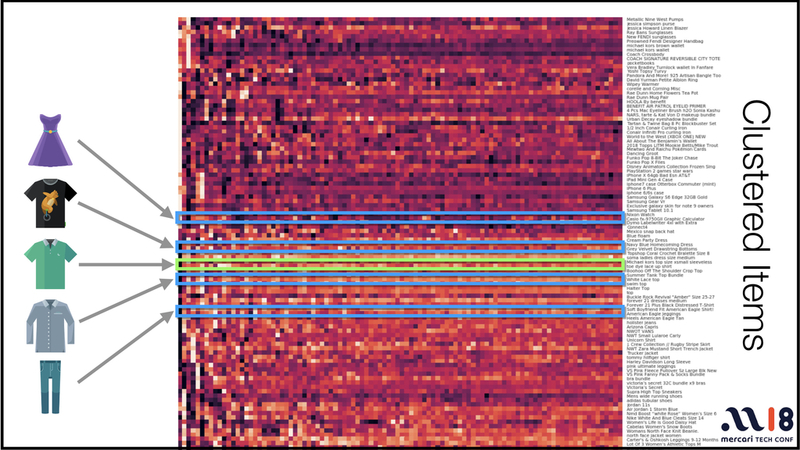 One thing made possible by this is the clustering of a large volume of items. 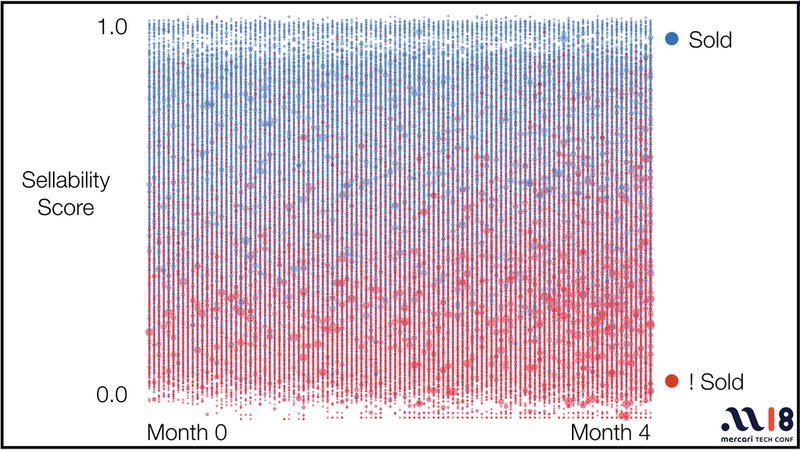 Using this function, it is possible to make predictions based on data analysis. 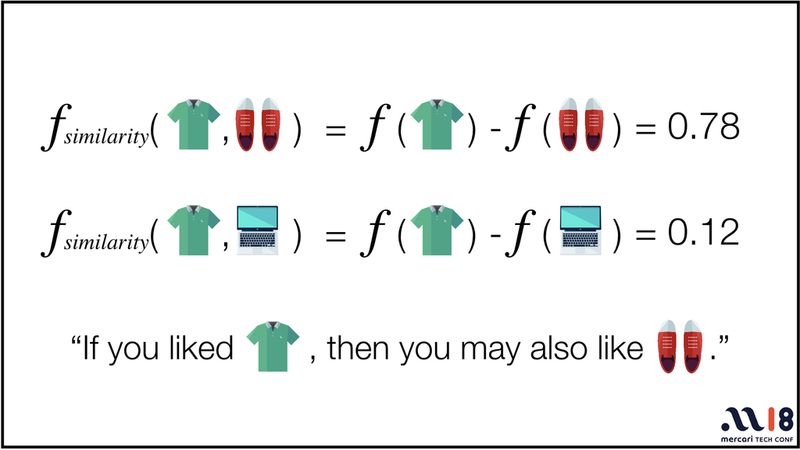 For example, there may be a 78% chance that a person who liked a shirt will like a pair of shoes, but a 12% chance that the same person will like a computer. 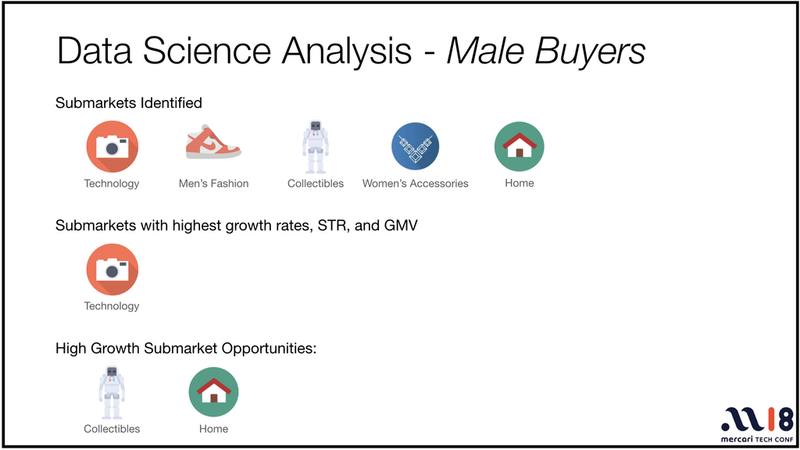 Of course, we don’t just use items as input—we also use buyer and seller information. By doing this, we can tell what kinds of people are our best listers. We can also predict what kinds of items they will list. The next thing Mok talked about was predictions. “Predictions are about asking questions.” Mercari US asks “What is the probability this item will sell within 72 hours?” and assigns a corresponding sellability score. Another question we’ve asked is “How likely it is a transaction will be canceled?” From all the listed items, we sample the portion of items that were canceled. We assign a score based on this, and if a transaction is likely to be canceled, we can choose not to boost it. Approaching the end of the keynote speech, the last topic Mok covered was people and culture in Mercari US. 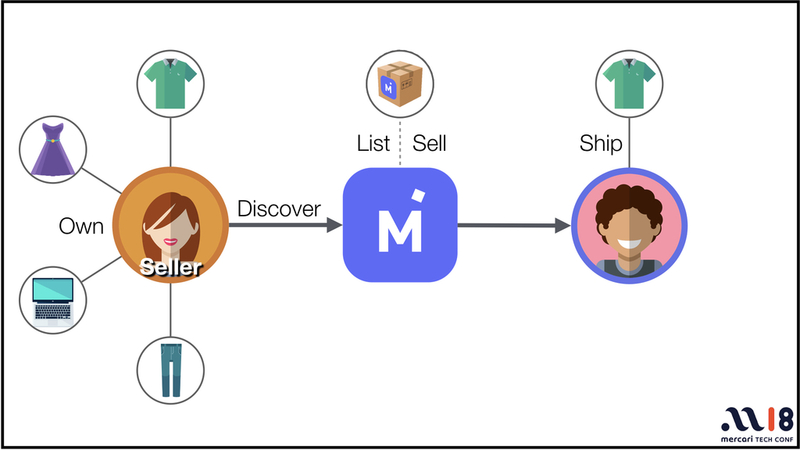 The Mercari US team is structured to work on the customer journeys of both the buyer and the seller. Because of the seamless cooperation between teams, we are able to use data and machine learning to deliver an experience that’s like magic. Using the latest technology, Mercari US will continue to evolve and make it easier to list, sell, and buy. 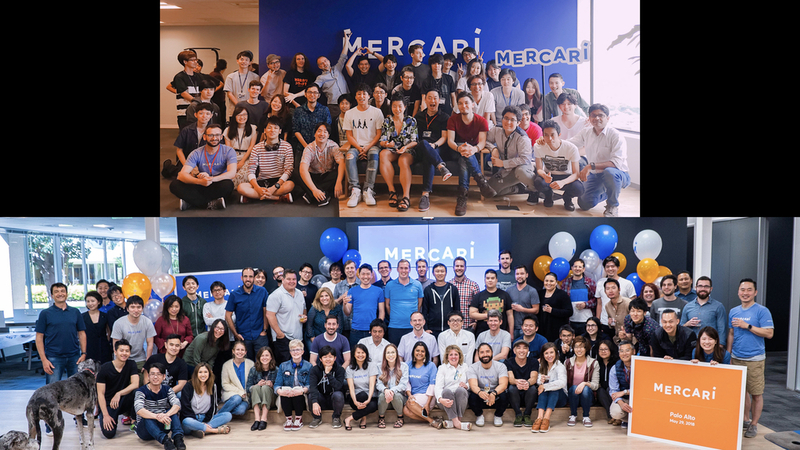 Mercari US CTO.Past Positions:Founder of EveryScape Inc. CIO of Where, Inc. Entrepreneur in Residence at North Bridge Venture Partners. 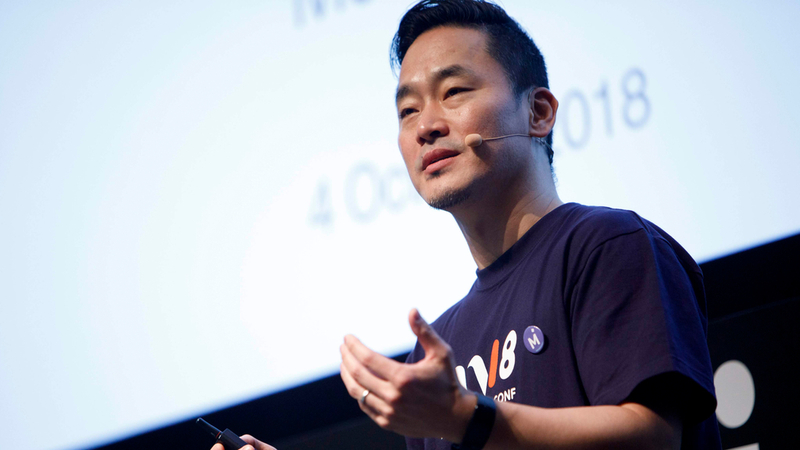 Co-founder and CEO of Moju Labs, Inc. Chief Scientist at PayPal. Vice president of Samsung Electronics (Suwon, South Korea).Dr. Mok completed his bachelor’s degree at Oberlin College, his master’s at the University of Pennsylvania, and his PhD at the Massachusetts Institute of Technology.